According to Q1 2016 Proxbook Report, 45% of the top proximity companies support Eddystone up from 25% in Q3 2015. This is not surprising given the pace at which Google has been announcing updates on the Eddystone front since the beginning of this year. While Google kicked off year 2016 to a great start by announcing Chrome support on Android for Eddystone, last month they went on to announce Eddystone-EID, a secure beacon format that they aim to put to use in order to allow users to keep track of things with ease. All in all, Eddystone seems to be the primary factor that is fast shaping 2016 as the year of the beacon. However, in spite of all this buzz around Eddystone, there is very little information on how businesses should go about setting up their first Eddystone beacon pilot. As a result, of recent we have had quite a few customers approach us with the problems that they faced while setting up their Eddystone campaigns. Aiming to help such businesses gain a deep understanding of what a beacon pilot is all about, the kind of investment it involves, and how to run a successful Eddystone beacon pilot, we recently held a webinar titled ‘The A to Z of Planning Your First Eddystone Beacon Pilot’. 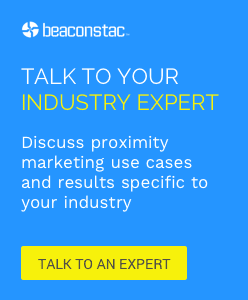 In the webinar, Devika Girish, Senior Marketing Associate (yes, that’s me) and Perry Nunes, Marketing Associate at Mobstac outlined some of the critical reasons why businesses should choose Eddystone over iBeacon. They then went on to discuss in detail about everything you need to know to get your pilot up and running, right from purchasing beacons to creating a floor plan to setting up your Eddystone campaign. Given that Eddystone is a fairly new technology, they even discussed some of the common FAQs that we have been getting from customers around Eddystone-URLs. In the end they answered some very interesting questions that we received from attendees during the course of the session.